Keen Clean provides a range of cleaning services in London to help people like you keep their carpets and oriental rugs in great shape. Our technicians can take on any job, including large office carpets, wall-to-wall carpets and delicate ancient rugs. If you’ve had an accident, local cleaning teams can also provide emergency rug cleaning as a same-day or next-day service. Call us now on 020 7101 4325 to book a service or get your instant free quote! No matter if you want to freshen up your home carpet or remove unsightly stains from your office rug, our cleaning services. Steam cleaning (otherwise known as hot water extraction) provides the best results for most home carpets. A mixture of hot water and cleaning solution is sprayed on the carpet and then sucked up with a powerful vacuum. Hot water extraction delivers better results than most other dry carpet treatments, shampooing and bonnet cleaning*. Using the hot water extraction/steam cleaning method, our technicians don’t just freshen the look of your carpets and rugs – they also improve air quality and destroy bacteria. Hot water extraction is also the best method for treating the carpets in your office. A regular steam cleaning service is the best thing you can do to preserve the quality of your commercial carpets. With small dirt and dust particles removed, the carpet’s fabric and colour can be kept in great condition year after year. *Certain delicate fabrics are prone to dye bleeding, in which case we may recommend dry foam cleaning. Our experienced London rug cleaners will advise you if your antique or oriental rug is not suited for steam treatment. One unit of the machine shoots a powerful stream of hot cleaning solution under high-pressure through the carpet’s threads. Simultaneously, a suction nozzle is extracting the liquid along with the dirt, dust, and grime, so they don’t remain inside the carpet. This attachment can pull up as much as 95% of the solution. The professional hot water extraction cleaning is suitable for carpets made of both natural and synthetic fibres. A: If the carpet is made entirely from wool fibres, then it will take around 4 hours to dry. For rugs made from synthetic threads or blends, it would take approximately 2 hours. A: This depends entirely on the amount of foot traffic your carpets are getting. Whether the textile flooring is treated with a stain protection product is also making a difference. We at Keen Clean recommend deep carpet cleaning at least once every six months for regularly used home carpets, rugs, and other textile floorings. A: We at Keen Clean treat a wide variety of carpets, rugs, and other textile floorings. We treat Oriental rugs, Indian carpets, Tibetan rugs, Moroccan rugs, Persian carpets. Our deep carpet cleaning team will deal with runners, area rugs, circular rugs, sculptured rugs, and more. If you can’t see your carpet type listed here, don’t hesitate to contact us and ask; there are a very few types of carpets we can’t clean. A: Our technicians apply a professional-grade stain repelling product, which notably prolongs the cleanliness of the flooring when used along with a professional carpet cleaning. Our anti-stain treatment extends the lifespan of your carpets significantly and postpones the wear and tear of the high-traffic areas in your home. We can provide you with a 6 months guarantee for our stain protection service. A: We work 7 days a week, and we can provide you with our cleaning services on bank holidays too. We can even arrange an evening appointment for your convenience. Keen Clean provides service throughout Central, East, North-East, North, North-West, West, South-West, South, and South-East London. A: Professional deep carpet cleaning usually requires only one cleaner. Our technician would be able to move light furniture to clear the working area as long as this doesn’t create any risk of injury, accidents, or damage to the carpets and furniture. A: At Keen Clean, we utilise only non-toxic cleaning products. These detergents have proven to deliver powerful cleaning results while being safe for people and pet animals. And considering your safety, we would like to remind you to avoid stepping on the cleaned carpets before they dry completely, to prevent accidents and injuries. A: Yes. All members of the Keen Clean’s team are vetted and insured professionals. The technicians have extensive professional training and can present documents certifying their acquired skills. Our cleaners wear branded uniforms and can show personal and company IDs upon request. A: Although this hardly ever happens, accidents could occur, even when experienced technicians handle the carpet cleaning. Luckily, we at Keen Clean are insured so we can compensate you adequately if something doesn’t go by the plan. Q: What is the area coverage of Keen Clean in London? 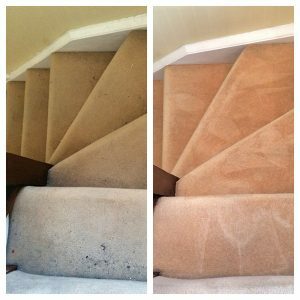 A: Keen Clean provides the best Carpet Cleaning service throughout Central and Greater London (the M25 ring): Harrow, Bromley, Clapham, Streatham, Tooting, Croydon, Barnes, Kilburn, Wandsworth, Chiswick, Battersea, Lewisham, Highgate, Mill Hill, Barnet, Blackheath, Mitcham, Brockley, Marylebone, Morden, Cricklewood, Earlsfield, Brentford, Notting Hill, Putney, Twickenham, Camden, Earls court, Sutton, Hanwell, Wimbledon,Acton, Maida Vale, Woking, Watford, Hackney, Fulham, Ilford, Finchley, Burgess Hill, Southwark, Crawley, Highbury, Greenwich, Stockwell, Mayfair, Stratford, Islington, Enfield, Hammersmith, Kensington, Balham, Kingston upon Thames, Romford, Hounslow, Barking, Canary Wharf, Shepherd’s Bush, the Southfields, Wembley and Drayton, are just some of the areas we serve. We offer some of the best prices for cheap carpet cleaning in London, covering all areas within the M25. Call us on 020 7101 4325 to book a service, find out more about our services or choose a package deal suitable for your budget.